We are experiencing an impressive “breakthrough” phase of FinTech industry adoption. Congratulations to our 2019 FinTech Breakthrough Award winners. FinTech Breakthrough, an independent organization that recognizes the top companies, technologies and products in the global FinTech market, today announced the winners of the organization’s third annual awards program, showcasing technologies and companies that drive innovation and exemplify the best in FinTech technology solutions across the globe. The FinTech Breakthrough Awards is the premier awards program founded to recognize the FinTech innovators, leaders and visionaries from around the world in a range of categories, including Banking, Personal Finance, Lending, Payments, Investments, RegTech, InsurTech and many more. The 2019 FinTech Breakthrough Award program attracted more than 3,500 nominations from all over the world. All nominations were evaluated by an independent panel of experts within the financial services and technology industries, with the winning products and companies selected based on a variety of criteria, including most innovative and technologically advanced products and services. Banking Innovation Award: HSBC Bank USA, N.A. Best Procure-to-Pay Software: Yooz Inc.
Part of Tech Breakthrough, a leading market intelligence and recognition platform for technology innovation and leadership, the FinTech Breakthrough Awards program is devoted to honoring excellence in Financial Technologies and Services companies and products. 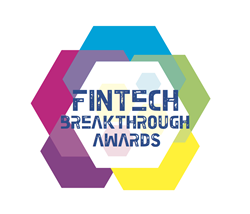 The FinTech Breakthrough Awards provide public recognition for the achievements of FinTech companies and products in categories including Payments, Personal Finance, Wealth Management, Fraud Protection, Banking, Lending, RegTech, InsurTech and more. For more information visit FinTechBreakthrough.com.